Big or small, custom crafted cottage signs can prove to be great address markers. When your guests are looking to find your cottage or cabin, there are some important details to think about to ensure your sign is getting the job done. When the expert signmakers here at The Sign Depot created The SCHWANS sign in the image above, the following three items were considered. A large font is always a good choice. If the font is too small it will be difficult to read from a distance. 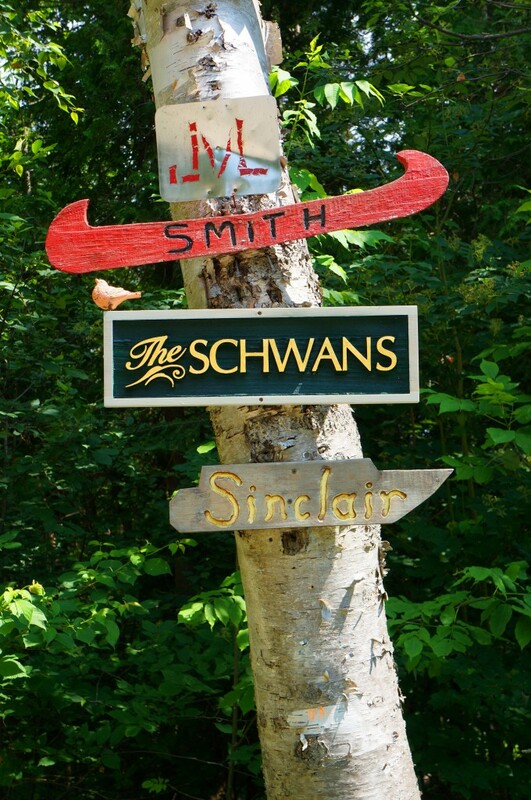 When it comes to address markers for your cottage/cabin it is better to be seen and not passed by. When finishing a cottage sign, choosing colours that create contrast assist with increasing visibility. In this case, the bright letters stand out much better against the dark background. This is also important for wayfinding purposes. This wood sign was sandblasted. This means the wood was carved into to create the background leaving the letters raised and creating dimension in the sign, once again increasing visibility of your sign. If the above three items are considered when designing a cottage sign and/or address marker, you are certain to find the results you are looking for. Plus you can rest easy knowing that your visitors will be able to find you. There are lots of other ways to customize a cottage sign to your personal taste. When you choose to have a custom sign shop create your cottage sign possiblities are endless. Read more about it on our post about the Advantages Of Working With A Custom Sign Shop. Heading to a cottage or cabin in the near future? Be sure to check out our list of the Best Campfire Recipes To Try Out At Your Cottage Or Cabin.